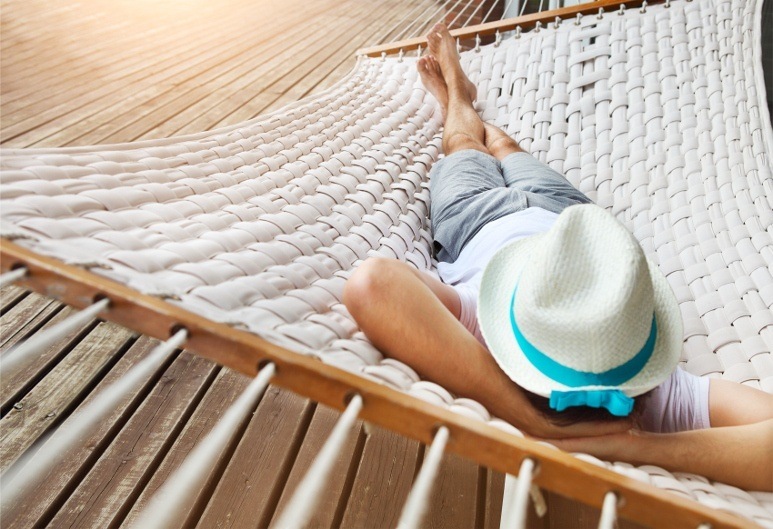 We’ve already talked about tips you can implement to get a better sleep during winter months, but now that the warm weather has settled in let’s see how can we prepare our sleeping zone to get a restful sleep during those torrid summer months. Hot weather creates greater challenges to getting a good night’s sleep. Making sleeping difficult are temperatures that vary during the night and high humidity. Some people find that memory or gel-foam mattresses make sleeping in hot weather even more uncomfortable. This can be a particular problem if you are sleeping on a sofa mattress, but especially if you’re sleeping in an RV or on a boat, using a camper mattress or marine mattress. Many people who have a hard time sleeping in warm sleeping zones use a small oscillating or box fan to blow cooler air over the bed surface. Even if you are sleeping on a foam RV mattress or boat mattress, you can find a small battery-powered fan to help keep you cool during the night. Some people find that cooling the area at their feet helps to keep them cooler all over. You can use your old down comforters to create layers of material that allow better air circulation between your body and the mattress. Down is a good material for letting airflow between the mattress surface and mattress cover. Although using wool for a mattress top to help cool you may seem counterintuitive, wool is a natural fiber that allows air to circulate more freely to help keep you cooler. A 100-percent cotton fiber mattress top can have a similar cooling effect, and may be the better choice for people with wool sensitivities. Try it out and let us know what you think! If sleeping in hot weather is a problem for you, you should pay particular attention to your sleep wear. Cotton clothing that allows moisture to wick away from the body will prevent the sweaty, clamminess that often occurs during the summer. Spreading a layer of egg-crate foam under the mattress cover can help to provide a layer of better airflow between you and the mattress. The bumpy side should be face down to allow pockets of air to be trapped. Special mattress tops that consist of a particular type of gel material to allow additional air circulation that helps to improve your sleeping zone during the night. Gel toppers also provide support for your body to increase sleeping comfort. That would be it! 7 tips that you can put to use right away. Do you have any special tactics you use to keep yourself relatively cool during hot summer nights? Share your tips in the section below! This entry was posted in Sleeping and tagged Get comfy, Pillows.